Rite in The Rain Bound Books, Field Flex Books, Notebooks (Stapled), Notebooks (Spiral), Calendars, Field Planners, Loose Leaf, Copier/Laser Paper, Copier/Inkjet Paper, Grid Sheets, Vinyl Labels, DuraRite, Job Saftey Books, Agriculture, Sportsman Books, Recreation Books, Public Saftey, Tactical, Covers, Kits, Pens and Holsters. A patented, environmentally responsible, all-weather writing paper that sheds water and enables you to write anywhere, in any weather. This 100% recyclable wood-based paper sheds water, moisture, dirt and grime and myriad of other substances allowing you to continue to write on your notepad or copier paper. Ensure your project stays productive and insure your data! Pencil works best. A pen that will work in wet environments will also work fine on RITR. 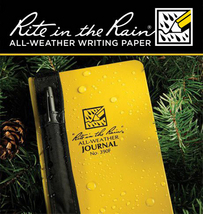 Using a pencil or all-weather pen, Rite in the Rain ensures that your notes survive the rigors of the field, regardless of conditions. CAN I COPY OR PRINT? Yes! 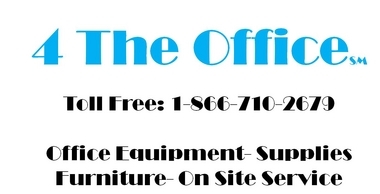 Copy and laser print your own all-weather forms and documents on Rite in the Rain Copier and Laser paper. We also have, Weatherjet, an ink-jet version, available.